Want to squeeze in an island workout where the locals work up a sweat? Join a guide to make the climb up popular Koko Head Crater, where over 1,000 stairs provide an island fitness challenge. Over a distance of .7 miles, this climb gains over 1,000 feet and is sure to elevate your heart rate. All the effort is worth it, however, for the sweeping view from the top, and your local guide will keep you motivated throughout the 2-hour experience. After meeting your guide at 5pm inside of Koko Head Park, prepare yourself for the climb up Koko Head's 1,048 stairs. Over the course of .7 miles, this trail gains over 1,000 feet and will definitely bump up your heart rate, but all the sweating and panting are worth it to see the view from the top. This is arguably Oahu's most popular training ground, where serious athletes come to test their cardio, endurance, and fitness. 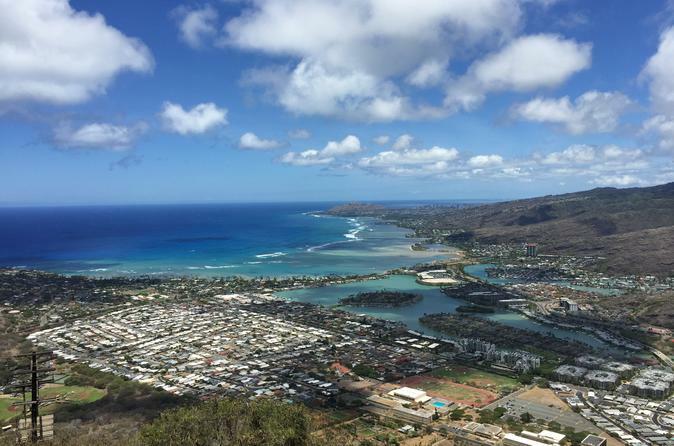 Along with a motivational guide, tackle the crater one step at a time and work your way toward the top, where the view looks out toward Honolulu and the southern shoreline below. Once you've successfully conquered the crater, this 2-hour tour finishes back in the parking lot where you originally met your guide.